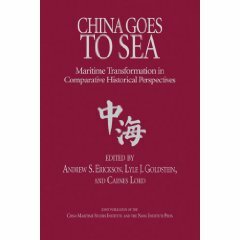 Andrew Forbes, review of Andrew S. Erickson, Lyle J. Goldstein, and Carnes Lord, eds., China Goes to Sea: Maritime Transformation in Comparative Historical Perspective (Annapolis, MD: Naval Institute Press, July 2009) in The Northern Mariner 20 (2010), 430-31. The economic rise of China, which has helped fund its military growth and modernisation, has polarised elements of the analytical community into two broad camps. There are those who see this military growth and modernisation as threatening and the annual report on China’s military produced by the U.S. Department of Defense, falls clearly in this camp. The other camp focuses on China’s international engagement, its signing of international treaties and agreements, saying China is now part of the global community, a team player and supporter of correct international behaviour, and thus not a threat. And then recent events, such as China’s support of North Korea over the sinking of ROKS Cheonan and Chinese threats to the United States not to conduct naval exercises with South Korea off its coast and to get out of the South China Sea (an area of disputed maritime boundary claims, that albeit, had been relatively benign for the last decade), opens the divide between the two camps. The issue that is causing the greatest concern is the growth and modernisation of the People’s Liberation Army Navy, and while there are legitimate reasons for any state with a large coastline, and a reliance on seaborne trade to develop its maritime forces, there are commensurate regional concerns over whether such forces might be used coercively. There are numerous books, articles, opinion pieces and pure speculation over what China is doing and why. Importantly, this is not one of those books. Rather, this volume brings together a number of experts to examine case studies of other land states that have undergone a maritime transformation. This is an important consideration—any state if it is wealthy enough can buy (and if it has the technology, can build) a navy. But it only becomes a capability (in defence-speak), if it can be used; that is, whether the navy has the associated doctrine, training, and logistics support to be used as a weapon. The aim of this volume is to explore how other states over time have transformed from a land (army-centric) power to a sea power; how did these states use the sea to achieve their aims? There are four chapters in the “pre-modem era” section, covering Persia, Sparta, Rome and the Ottoman Empire. These chapters cover the beginnings of sea power, the creation of navies and their uses to protect trade, colonise other lands and develop empires, but also move armies to achieve these tasks (rather than marching over land). The importance of technology is noted, in the design and building of warships and the logistics necessary to support these ships, as well as any army they might be transporting and/or supporting. Implicit in all this is the centralisation of power within the state and the ability to organise disparate resources (and finance) to create these navies. These chapters are heavy going, only because the authors (experts on their topics) provide so much information and analysis in such a relatively short space, but are nonetheless rewarding. The next four chapters cover the “modern era,” examining France, Imperial Russia, Imperial Germany and Soviet Russia. It is interesting to see how these land powers viewed the sea and how that changed over time, how they used the sea, and how they developed their navies and why (either as a force in their own right, to counter other navies, or as an adjunct to their armies). And this latter point becomes a critical issue: land powers have borders across which an invader would come, and thus require large armies (for defence, but also if they were to be the aggressor). What then is the rationale for such a state to have a navy, and how will it be used? More importantly, perhaps, is how will a navy be funded as they are very expensive institutions to create and maintain? Depending on the situation on land, navies are occasionally found to be too expensive for what they might deliver (if this has been thought through adequately) and wither away through financial neglect. 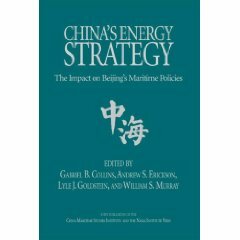 We now come to a consideration of China’s maritime historical past, with three chapters examining Chinese views on the sea, its use, and the need (or otherwise) for navies. A clear purpose or role of a navy is critical to justify the expenditure upon it; and in the case of China, from where is the greater threat—internally or externally. Internal stability might be more important to the state than foreign adventures, and thus the army is more important than the navy. 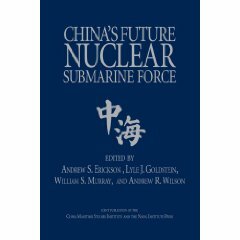 The final four chapters focus on contemporary China, examining its technological capabilities in shipbuilding (in the past this has been considered one element contributing to “sea power”), its aspirations for a blue water navy (which is what is causing concerns within the region and to the United States), and its own examination of global historical case studies of maritime transformation in order to learn lessons and avoid the pitfalls that other states experienced. Of course, geography, political systems, economics, culture (amongst others) all have a role to play in maritime transformation so it is always unclear what real lessons can be learned from such a large historical sweep. 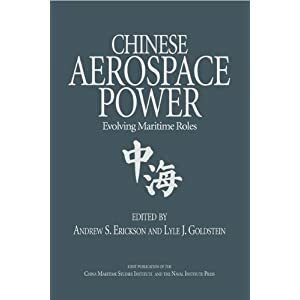 This book is not just for China experts; it is for all those readers interested in the development of sea power at its most basic – that is, how did a number of states develop and use their navies, why did some keep them and others discard them?